Happy Thursday. I hope all of my super cool readers are doing well. I know the end of summer looms on the horizon. For some of you it is exciting and for others maybe not so much. Either way, I hope you are coming to peace with the coming fall. To help you find that inner happiness, I came up with a lovely pairing. 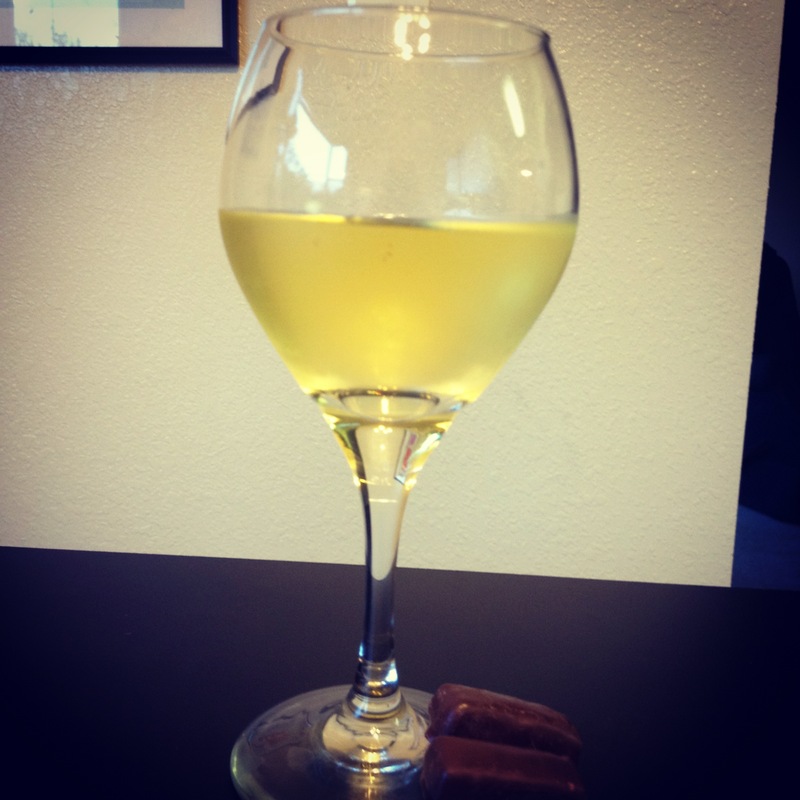 It is not revolutionary, but it’s good wine and intriguing candy. Full disclaimer: all the wines for the next 6 postings or so will be classier wines. I snagged a great Groupon for a wine store in downtown DC. I recommend Groupon for finding wine deals. Sometimes they are not actually deals, but when they are you can get a decent haul. I even got one of those fancy bags with different slots for wine…for you know, all those instances where I need to buy a bunch of wine at once (come to think of it, I could use that bad boy to recycle a lot of my bottles!) For some of my readers, this wine may not seem so top-shelf. But for a lowly 23-year old, these wines are absolute treats. I have even enforced a one-glass at a time rule so they don’t dwindle away. Let’s see how long that lasts. Our candy is an interesting one. It was too intriguing to pass up and of course it came from Trader Joe’s. 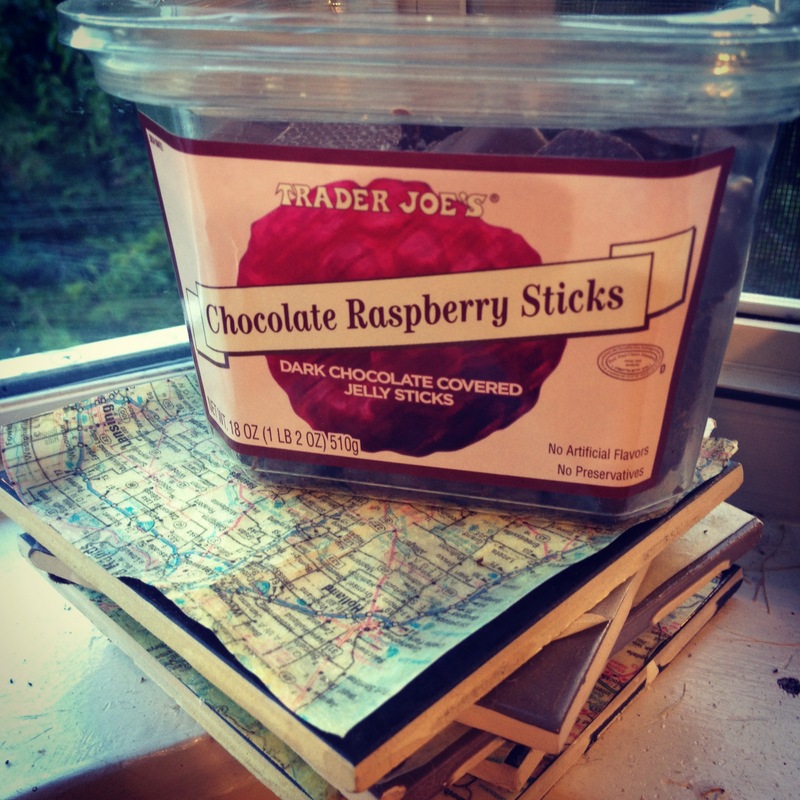 They are chocolate raspberry sticks. If you read that and have no idea what I am talking about, you are in good company. When Sam and I saw them it was an instant ‘yes.’ I thought the touch of raspberry and the thin chocolate shell could play well with the chardonnay. 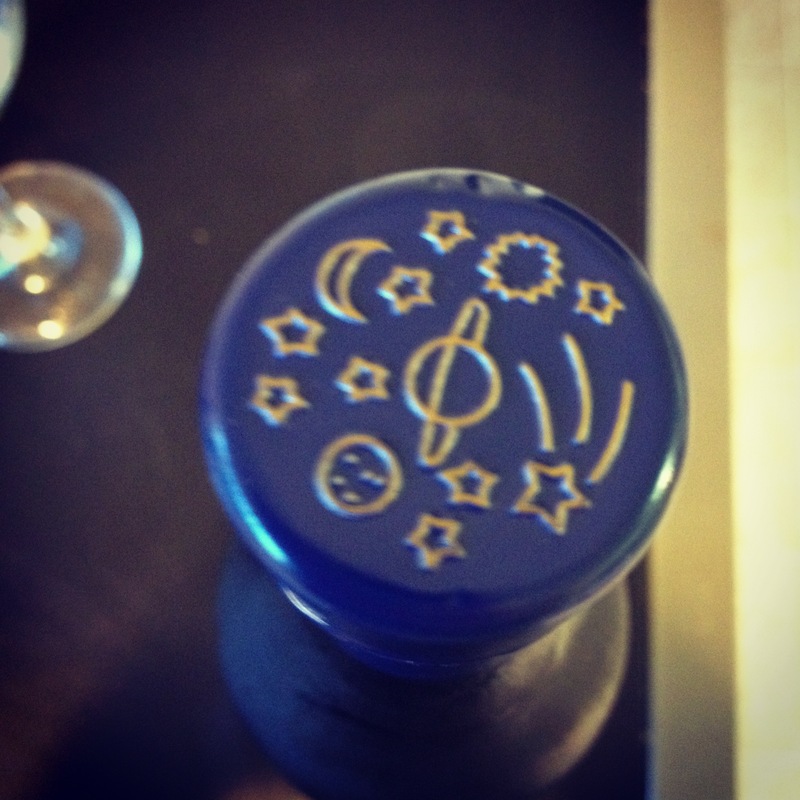 I loved the cap to this wine so I have to share it. It’s adorable, while staying classy. It has a wonderful whimsy to it. This candy combined two different types of candy–chocolate and jelly-gummy candy. Gummy candies are difficult to pair, so the chocolate edge and the substantial amount of jelly in the middle offered a promising treat. The flavor range was not too big, which made the pairing easier to manage. Chocolate and raspberry are classics, but this candy has a twist to make it interesting. Chardonnay can usually hold its own against sweetness. It can be very potent and since I knew I had a high quality wine, I felt confident. But I sort of always feel confident, so that’s neither here nor there. A sip of this wine is an onslaught of flavor with notes of tart green apples and ripe pears. It is extremely dry and pungent, which for me is what a Chardonnay should be. It’s refreshing and you savor each sip to extract the play between tart and crisp. The color is a deep yellow, like the skin of a ripe lemon. I enjoyed this wine over several days and it felt like luxury. This wine would be wonderful to share with some close friends on a late August evening. The candy is intriguing. They are indeed jelly sticks surrounded by chocolate. No doubt about that. The milk chocolate is typical but the gummy center is far squishier than I expected. The raspberry is not overly sweet but rather sour. Your lips pucker a bit and the amount of filling washes away the chocolate from the tongue. It really is tasty. I suggest freezing them as well. Together, these two make a nice pairing. 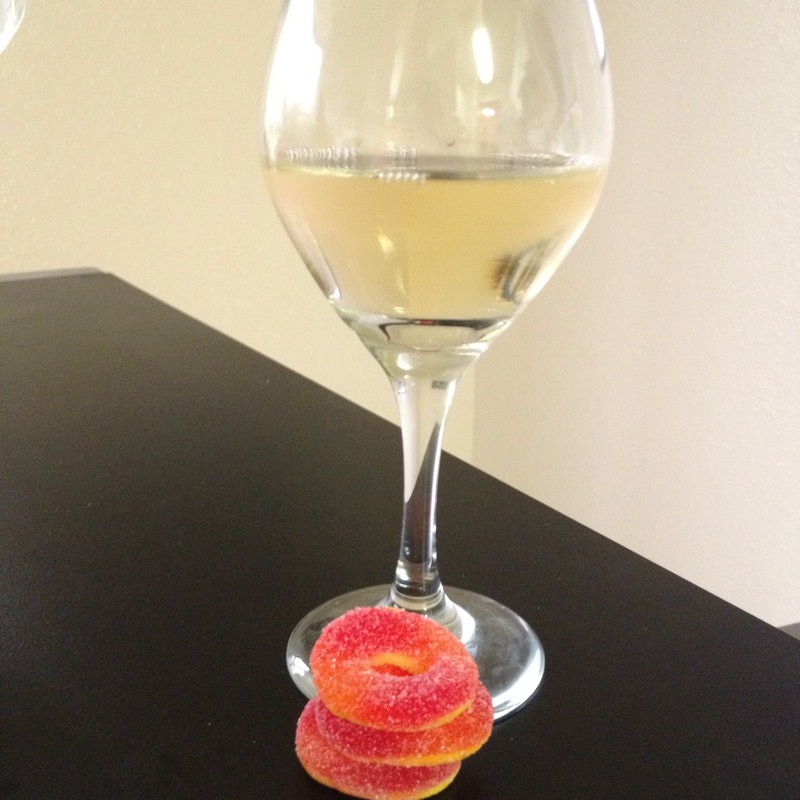 The wine does not go sour after the sweet treat and both are strong flavor wise individually. But I don’t think either one enhances the other. They are both good and they taste well together, but there are no fireworks. The raspberry leaves that slight tart kick that lingers lightly for no more than a second with the chardonnay. An interesting surprise. I recommend this pairing overall. The jelly sticks are fun, but mostly because the are called jelly sticks. The wine is simply mouth watering. You can’t lose when you are consuming these two, and truly, what else can you ask for? 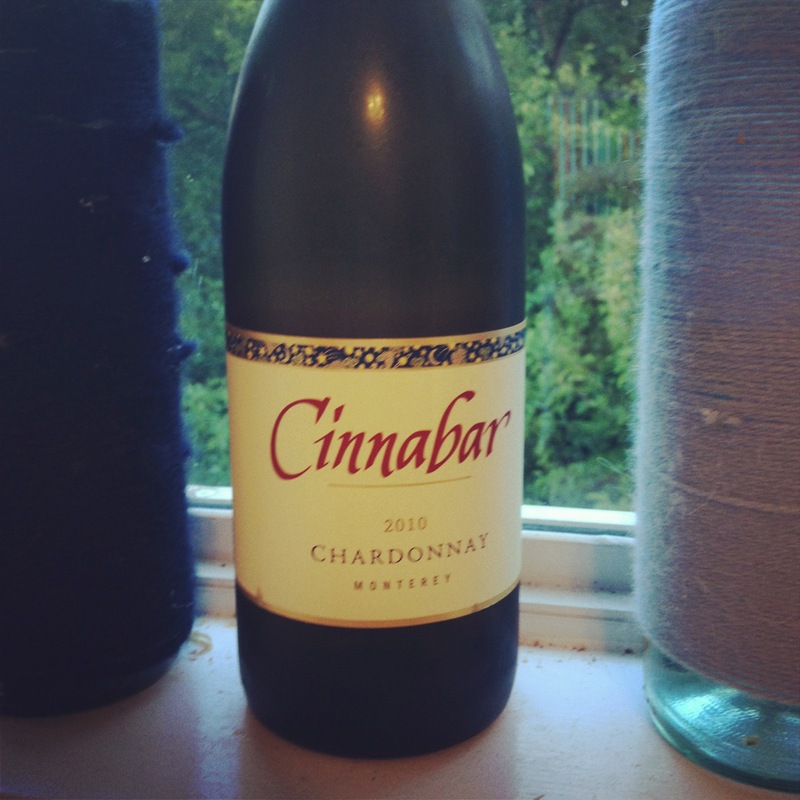 Posted in Chardonnay, White Wine and tagged Chardonnay, chocolate, Cinnabar, Groupon, raspberry, Trader Joes. Bookmark the permalink. As promised, here is this blog’s first guest post. It is by my great friend Dillon, an intelligent young man I have known for several years. You can explore his intellectual musings at www.dillonstonetatum.com. The post is written very beautifully. He puts my silly musings to shame, but I should have known better…I did invite him to post right? I’m a child of the desert. I grew up in southern Nevada, in a suburb of Las Vegas, and, essentially, studied deserts at the University of Arizona—located in Tucson, not too far from the Mexican border. The deadly Sonoran. As someone who lives in civilization now, it’s a mystery even to myself why I continue to be at least partly fascinated by the desolation, heat, and emptiness of the desert. And why I choose to spend most of my summers here, at my family’s home. As I’m writing this, I just received a text message from the national weather service: Warning—severe dust storm. Typical. When Liz invited me to contribute to this blog, I really did not know where to begin. I know I love the blog (I don’t follow many blogs, but I read this one religiously). I like to drink; I’m from Vegas. 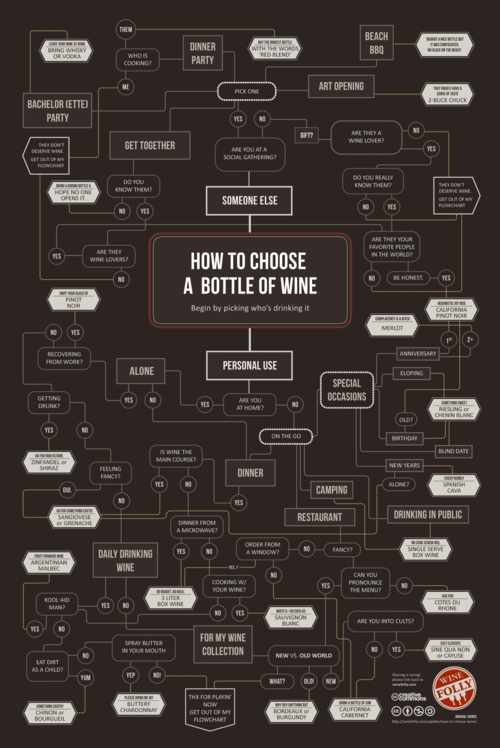 I don’t know much about wine. But, I do know that my three month sabbatical in the wasteland is coming to a close, and it is with great pleasure (and, surely, a coming nostalgia) that I chose the following combination. One that, at least I hoped, would bring out both the best of the summer, and the mystery of the desert. 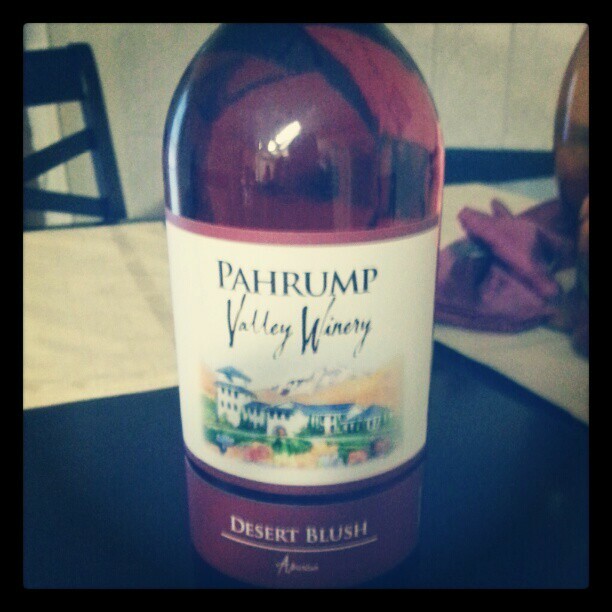 The wine is from a local winery here in Nevada called the Pahrump Valley Winery. It is labeled as “Desert Blush.” I’m not sure exactly what that means, but I’m assuming it’s a white zinfandel type. Pahrump is maybe 60 miles outside of Las Vegas, and is famous for more than its liquor. I’ve always been a fan of blush wines. It always reminds me, for some reason, of a picnic in the summer rain. I was expecting a sort of light, almost white, taste to it. Something sweet—maybe too sweet—for a table wine. The candy is Wonka’s Laffy Taffy—Banana flavored. Something I’ve associated with summer. It must be the bananas. I don’t know. I had this idea in my head that anything would go well with Laffy Taffy. Surely, Pahrump Valley Winery took this into consideration when producing. The first sip. Rather spicy, not too sweet, though with a taste reminiscent of watermelon. It finishes smooth, almost creamy. Though it’s a blush, it has the character of a full red. I have a feeling this bottle is going to go fast. 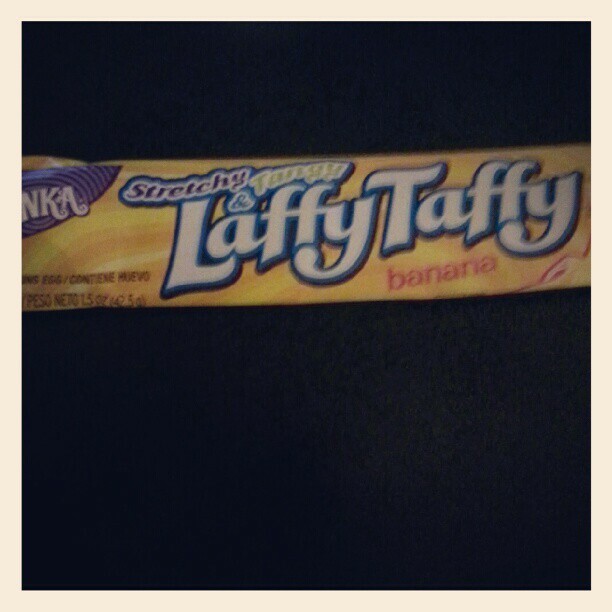 The Laffy Taffy is delightful on its own. It, too, has a rather creamy, rich texture that compliments well the blush. I may not have gotten a sweet wine, but the taffy certainly made up for it. This pairing was quite perplexing. It threw me off, was not at all what I expected, and rather mysteriously gave me a smile. It was warm and inviting, and despite the simplicity of a local wine and a popular candy, was fulfilling. Perhaps I have discovered my fascination with the desert after all. 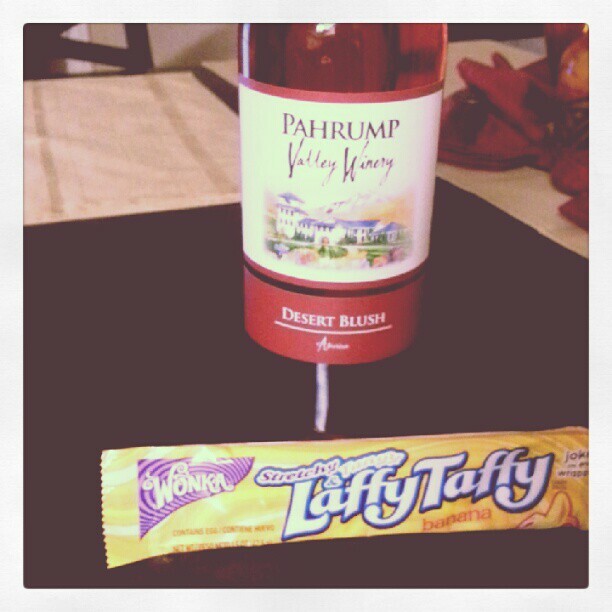 Posted in Guest Post and tagged Banana, Desert Blush, Laffy Taffy, Nevada, Pahrump Valley Winery, Wine, wine pairing. Bookmark the permalink. I have a guest blog post I’ll post soon. It’s a good one! I hope you enjoy it. Today we have a different treat. Since I won’t have wine until tomorrow I decided to try a new beer and review it. I don’t know much about beer. I feel quite accomplished that I know what I like and what I dislike. But I keep trying new things. Since this summer has been so hot (science even says though) I have departed from my usual porters and stouts. IPAs and pale ales are the order of the day with a white Belgian here and there. But tonight I wanted to try tonight something a bit unique. Summer and peaches are a natural pair. So add it to a summery beer and everyone wins. It didn’t taste like I expected but I enjoyed it. At first sip the beer is sour and acidic. But the finish has the strong peach flavor. It’s almost like the juices in the peach pie, but not overly sweet. With each sip this beer is a little different. It always begins the same, the sour flavor, but it smooths out to the peach and ale. I appreciate that this beer has a fruit flavor but it’s not overly done. It’s not too sweet or campy. I may just have another one tonight. Hope you all have a great weekend! A new pairing comes soon. 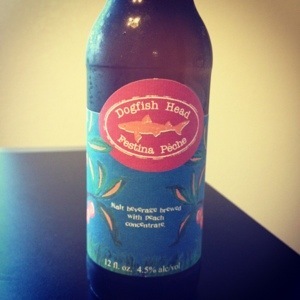 Posted in Uncategorized and tagged beer review, Dogfish Head, Festina Pêche. Bookmark the permalink. Dreadfully sorry for the delay. I recovered from strep throat but I won’t be able to pair until next week. I’ll tell you what though. I am going to try to get some guest bloggers. If you are interested then leave a comment. 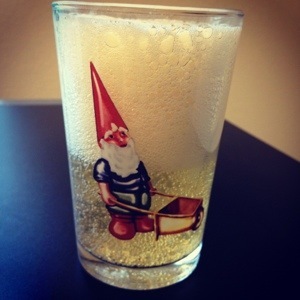 In the meantime I will just blog about various lovely beverages! Posted in Uncategorized and tagged Guest bloggers. Bookmark the permalink. Lucky for all of you, I am home sick with strep throat. And I have enough energy to write a post. As promised, we have an Olympic themed post for you today. Unfortunately, I do not think this pairing gets the gold. Maybe a bronze…but that’s a stretch. Maybe I am just not cut out to be an Olympian. In my defense, my materials are difficult. I chose peach gummy rings, which are the obvious choice. This blog proved many times that pairing gummy candies is nearly impossible. Just like training a dressage horse, pairing gummies with wine is simply not natural (all do respect to Rafalca).Fortunately for me though, it is a lot cheaper. You know, it’s not about winning. It is about the love of the game and the honor of being her….ok no wait, my goal was to delight you all. But gummy candy is a real thorn in my side. Honestly, I need to stop doing themed posts because they are exceedingly limiting. Although they are fun, they can be a drag. It forces me into corners that I don’t want to be in. For a sweet gummy with a bit of a sour bite, I went with a pinot grigio. The unoaked was appealing (as well as it’s very cheap price) and I wanted something light and playful. It had to be flavorful and full, because the risk of the wine going sour after the candy is big. Let’s see how I faired. I loved this wine. It is crisp and ends smoothly with a silky finish. It tingles on the tongue. The flavor of grape comes in strongly along with a hint of pear. This wine tastes like sunshine. Unfortunately for this pairing, it is tart. Which means that our super sweet peaches are going to to turn this wine sour. The peach rings are peach rings. Overly sweet and only a bit peachy. They are fantastic though and do their job very well. The first sip after the peaches has a sour flavor though, though it maintains its lush finish. The flavor does hold out but the slight sourness is extremely distracting. I gulp down the peaches and enjoy my wine as it should be….naked of all distractions. Well, what can I say, gummies are tough! They are very sweet and about any beverage gives you a sour stomach after. I will explore my next post after I recover from this strep. Happy Olympics everyone and how about those gymnasts!?! Posted in Pinot Grigio, White Wine and tagged Olympics 2012, peach gummy rings, pinot grigio, Simply Naked, Wine. Bookmark the permalink.